Tickets for HB Burger New Years Eve 2020 are currently not on sale. New York City's Times Square is home to the casual offspring of Heartland Brewery, HB Burger. A rare low-key chophouse amongst the hustle bustle of Times Square, H.B. Burger is indeed the sole full-service burger restaurant in all of Times Square! Comfortably family-friendly while also stylish, this burger mecca bridges the feel of an authentic, classic steakhouse with today's modern epicurean ambiance. H.B. Times Square offers a space with ample seating, iron chandeliers, and wooden tables giving it a feel of authentic wood-grilling. With two back-lit bars conveniently located in the heart of the restaurant and a deliciously diverse menu, H.B. has something for all. Looking to ring in New Year's Eve 2019 with a free-flowing beer in hand? Look no further than Times Square's H.B. Burger! With a ticket to H.B. 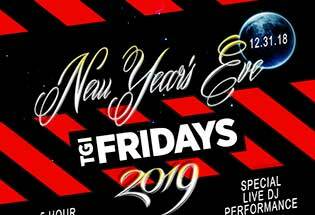 's New Year's Eve celebration, you will delight in five hours of open bar, offering beers from all regions as well as wine, liquor and tons more festive cocktails. You will enjoy a New Year's Eve rife with drinks galore… plus three hours of buffet-style food. Our H.B. NYE fare offers a range of light fare, from mini-burgers, fries, salads and sandwiches. With food, drinks and festive party favors located just blocks from Times Square's famous ball drop, you will not be at a loss for anything here! Both beer and family-friendly, H.B. 's has something for absolutely everyone. VIP treatment anyone? Get one of our VIP tickets to H.B.'s! A VIP ticket will make you feel like the VIP you want to be! Relish at a special table with not only the buffet but with platters of more food, extra drinks and private bottle service. You get the VIP treatment without ever having to leave your seat! So don't tap out! Join the on-tap fun and get your ticket to H.B. 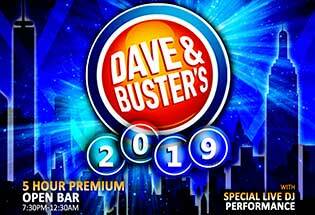 Burger Times Square's New Year's Eve celebration now! Dress code is festive New Years Eve attire.